Financial advisors need to be more relevant than ever in the lives of their clients, know who they serve and why, and design a total solution to meet client needs. Understanding the current “framing” of your practice by clients is an important first step in this process—and can be facilitated via a very specific client conversation. In that article, we shared 10 core principles that Ray Sclafani has identified as drivers of business growth and client satisfaction for top financial advisors. Mr. Sclafani is the founder of ClientWise, a premier coaching company exclusively serving the financial-services industry. A professional certified coach and the holder of a master’s certification in neurolinguistics, Mr. Sclafani leads a firm that has trained thousands of financial advisors in advanced practice management principles and methodologies to achieve more consistent success. He says these principles are based on years of studying and analyzing the best practices of financial firms of all sizes—both here and abroad. 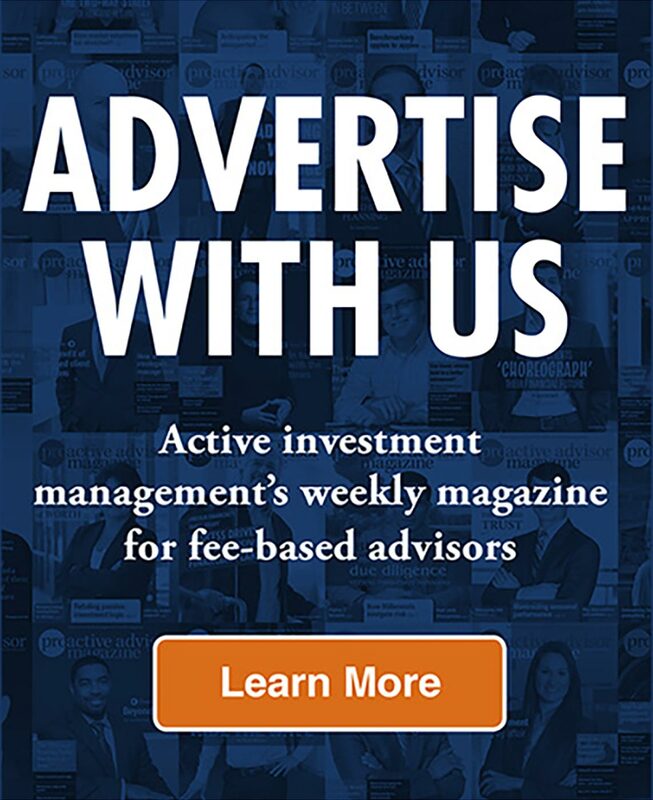 See Related Article: Wealth-management trends: What defines ‘high-growth financial advisors’? Why have “the client conversation”? Integral to that process, says Sclafani, is the important first step of gaining a deep understanding of how your current clients view your firm—and the questions you should be asking to ascertain that answer. Sclafani recommends using a very clear script and set of talking points for how the conversation should run. His firm has branded this proprietary process as The ClientWise Conversation and has field-tested the entire process for over 10 years with more than 50,000 financial advisors. “For example, do your clients see you as selling insurance without realizing that you also provide guidance on building an investment portfolio? Do your clients perceive you as old school, even though you now have advisors on staff who are from the millennial generation? Do your clients think you operate solo when, in fact, you have a team? Sclafani strongly recommends that advisors themselves conduct the conversation, interviewing 20 to 30 clients for a period of about 20 to 30 minutes. There can be exceptions as to who could conduct the interview, whether it is a coach, HR representative, or chief marketing officer, but Sclafani believes the firm’s principal will greatly benefit from hearing the information firsthand. He also recommends that this conversation ideally be held as a separate meeting, not as an add-on to a client review session. Sclafani offers some specific tips for how to initially position the meeting to clients. What specific questions will best elicit critical information from clients? The ClientWise Conversation questions are presented here, with brief explanations and rationale from Sclafani provided for each one. This question allows you to begin the process by gathering positive information, which is likely to put you and the client at ease. It is a means of determining how exactly the client perceives your value as a professional. As with all of the questions, be prepared to ask logical follow-up questions in the natural flow of the conversation. This is a powerful question, says Sclafani, that gets clients to say in their own words what you have achieved together. When clients believe they have achieved something and are able to articulate that something, “there is magic.” The client makes a real connection between what you do as an advisor and why that is valuable to him or her. The ClientWise Conversation requires a careful close. Thank the client for their valuable input. Ask permission to have a brief follow-up conversation in the future to share key insights from the entire process and brief them on any value-added changes you might be incorporating for your practice. Make sure they know how important their participation was and how their opinions will help shape the future direction of your firm. Meet with the client in person rather than over the phone; it’s more personal and gives the client time and space to provide more in-depth answers. Make the meeting one-on-one, rather than showing up with three team members and risking intimidating the client. Come from a position of strength, not weakness. Explain to the client that as your business continues to grow, you are always looking for ways to improve and better serve your clients. Avoid becoming defensive; instead, let the client know that his or her insight is important to you, listen, and take notes to show you are taking the client seriously. Look for patterns in client responses. Ask your team for input and reaction to client responses. Ask yourself: What words and phrases were heard often? Identify the gaps between how the client frames you and how you want to be framed. Determine how you and your team can use what you have discovered in your daily work, beginning right away. Start documenting what you achieve every quarter with each of your clients. 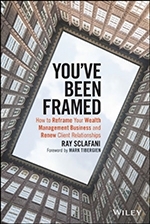 The key benefit of this part of the reframing process, says Sclafani, is having a data- and discovery-driven first step, within the valuable context of a frank and personal discussion with clients. Importantly, the conversation is not about financial planning or investments, but about their opinions and needs and what they value most about your relationship. What value they think you provide. What value they would like you to provide. Determine how exactly the client perceives your fundamental value as a professional. How can you be a more effective partner to your clients? Gain further understanding of how much value the relationship brings to clients. What is the real connection between what you do as an advisor and why that is valuable to clients? Gain valuable knowledge about your clients’ other professional relationships and input for your own networking.